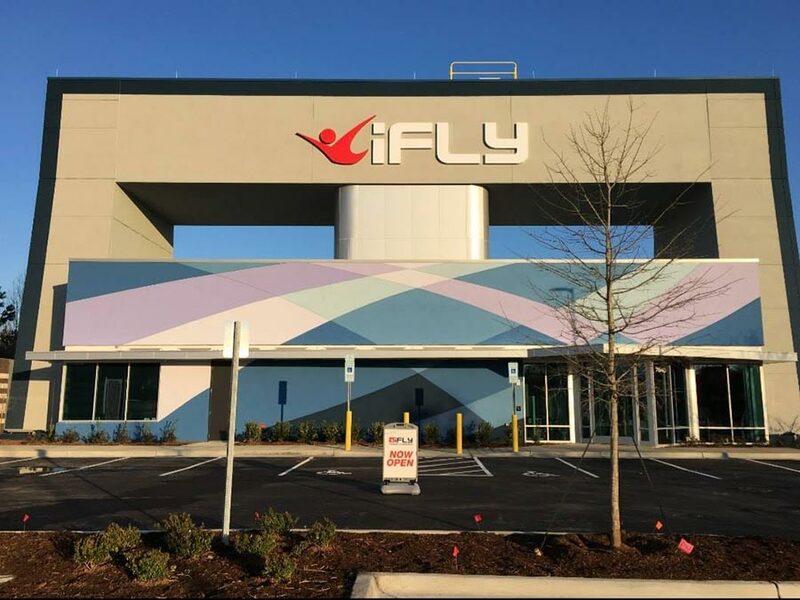 This iFLY World location in Concord, North Carolina near Charlotte is a 12 foot recirculator. First time flyers and experienced flyers alike can enjoy wind speeds up to 140mph. The facility opened to the public on March 23rd, 2019. Average rating of 4 from 3 review(s). Travis F. Is my coach. Travis does a great job of asking impactful questions while getting to know me prior to our tunnel time. Travis also gives very specific feedback before, during and after each interaction. Lastly, Travis always checks to see if I can feel/ sense my development during our debrief. The customer service agents at check in are very nice and the 3 or 4 other instructors I’ve seen/met are all friendly and extremely knowledgable and effective in flying and coaching all levels of flight. Our group enjoyed our flights, however the overall experience was disappointing . I had planned a party group to celebrate a birthday. I scheduled a time for our group and even asked for a specific instructor they assured me we could have. When we arrived the instructor I requested was not there. Our group was mixed in with other people, not by ourselves. I felt the experience was unprofessional and misleading. I wouldn't recommend anyone doing a party because it nothing special for your group. And I wouldnt request an instructor as it doesnt guarantee they will be there. They dont explain this to you. Not worth the price. Took the grandsons here for their 1st experience and it was a hit!! The smiles on their faces as they "flew" were priceless! The only negative, pricing is steep, (thus the 4 star review rather than a 5 star review) and even though there was a sign offering an extra flight time for $20, they would not let us take advantage of this offer because of lack of time available due to being very booked. Understandable, but disappointing. But the whole experience was really amazing and the boys had the time of their lives. The flight instructor was awesome and looked like he had as much fun as the boys! Highly recommend this experience.